Fresh cybersecurity talent is in scant supply, and companies need to be extra competitive in order to hire new employees, Washington Technology reports. The message from a recent web discussion hosted by Northrop Grumman and the University of Maryland, Baltimore County is this: Achieving successful cybersecurity is an all-hands-on-deck effort by academia, industry, and government. Cybersecurity has a need for every kind of person. Turkey is expecting to take delivery of its first Lockheed Martin F-35A fighter jets in 2018 and has decided to order a second batch, the Hurriyet Daily News reports. As tensions mount in the South China Sea, the US might is considered crucial, Business Insider India reports, and a weapon considered well-suited for the region is almost ready for deployment — the F-35 Lightning II. “It will absolutely thrive in that environment,” retired Air Force Col. John “JV” Venable said. Air Force Times reports that US Rep. Duncan Hunter (R-CA) says the US Air Force should accelerate the development and acquisition of unmanned aerial systems to counter threats posed by hostile actors that use commercial UAS. Hunter asked Secretary Deborah Lee James to provide details on the AF’s efforts to deploy counter-UAS technology following the explosion of a drone that was launched by the Islamic State militant group and killed two coalition troops. The research arm of the Pentagon is demonstrating a new level of aircraft autonomy that blends the problem-solving ability of the human mind with computerized robotic functions, Defense Systems reports. The Defense Advanced Research Project Agency program is called ALIAS — Aircrew Labor In-Cockpit Automation System. The Navy’s first unmanned patrol squadron stood up last week in ceremonies at Naval Air Station Jacksonville, Florida, from which it eventually will control the first operations of the Northrop Grumman-built MQ-4C Triton unmanned aerial vehicle, Seapower magazine reports. US service members and their Japanese counterparts are staging operations to retake an island during Keen Sword drills currently underway on Guam and the Northern Marianas, Stars and Stripes reports. This is the 17th time the exercise has been conducted. It is the first to include amphibious operations near the US territory and commonwealth. With just a few short days until the 2016 presidential election, top Republican advisers on the military to Donald Trump’s campaign provided some insight into what a Trump election might mean for defense, Defense News reports. While the campaigns have not focused deeply on issues, there is agreement that the restrictions of the Budget Control Act – the sequester — should be lifted. Trump is so forceful in his public pronouncements that many observers assume he would be a decisive commander in chief, The National Interest reports. “However, being decisive isn’t the same thing as being a big backer of military spending. While Trump’s campaign rhetoric reveals him to be a strident nationalist, he is no militarist,” the report reads. The amount of money spent by commissary customers declined in fiscal 2016 – marking the fourth year of falling sales – but it’s not clear whether that drop signals problems with customer satisfaction, Military News reports. The commissary benefit has been under much scrutiny over the past several years, as defense officials seek to reduce the amount of taxpayer dollars that are used to operate the commissary system. Military Times reports the number of veterans serving in Congress will likely drop in the next session. An analysis from the Veterans Campaign shows that for the first time in 70 years, Congress could boast fewer than 100 veterans in the House and Senate in 2017. That is due in large part to retirements of World War II, Korean War, and Vietnam War vets, and the aging of the country’s veterans population as a whole. Global Technical Systems Inc., Virginia Beach, Virginia, is being awarded a $18,476,064 firm-fixed-price delivery order under previously awarded contract N00024-14-D-5213 for 36 Technical Insertion Twelve Hybrid (TI-12H) Common Processing System (CPS) water-cooled advanced production units. CPS is a computer processing system based on an open architecture design. CPS consists of the CPS enclosure assembly and three subsystems: the processing subsystem, the storage/extraction subsystem, and the input/output subsystem. It is intended to support the computer requirements of various Navy combat systems. This contract will provide for production, testing and delivery of CPS (both water-cooled and air-cooled), spares, and associated engineering services. Work will be performed in Virginia Beach, Virginia, and is expected to be completed by June 2017. Fiscal 2016 other procurement (Navy) funding in the amount of $18,476,064 will be obligated at time of award and will not expire at the end of the current fiscal year. 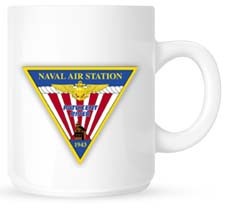 Naval Sea Systems Command, Washington, District of Columbia, is the contracting activity.